After many years of having watches produced by Eterna under a licensing agreement, in 2014, the Porsche Design Group founded Porsche Design Timepieces AG, in Solothurn, Switzerland. 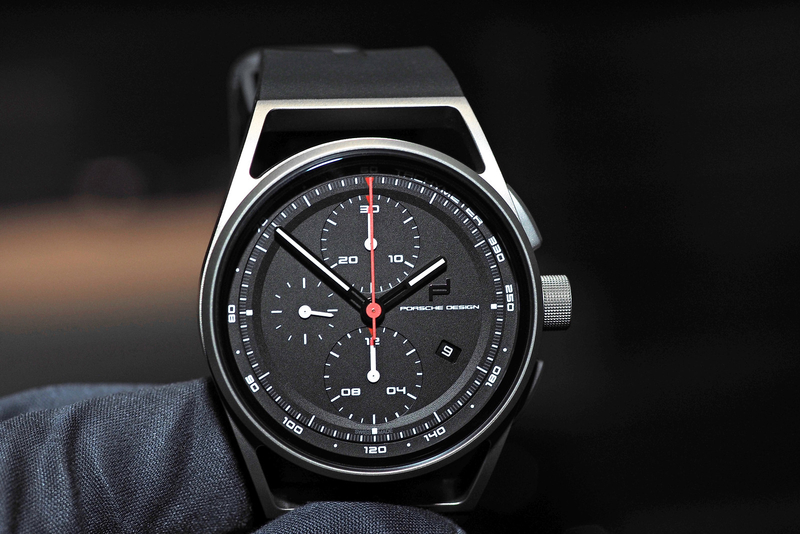 By the end of 2014, the newly formed Porsche Design timepieces, made in close cooperation with their Design Studio in Zell am See, Austria – had brought the first timepiece created under the new management to market. Fast forward to Baselworld 2016, and for the first time, Porsche Design Timepieces exhibited at their own booth (after many years exhibiting alongside Eterna). 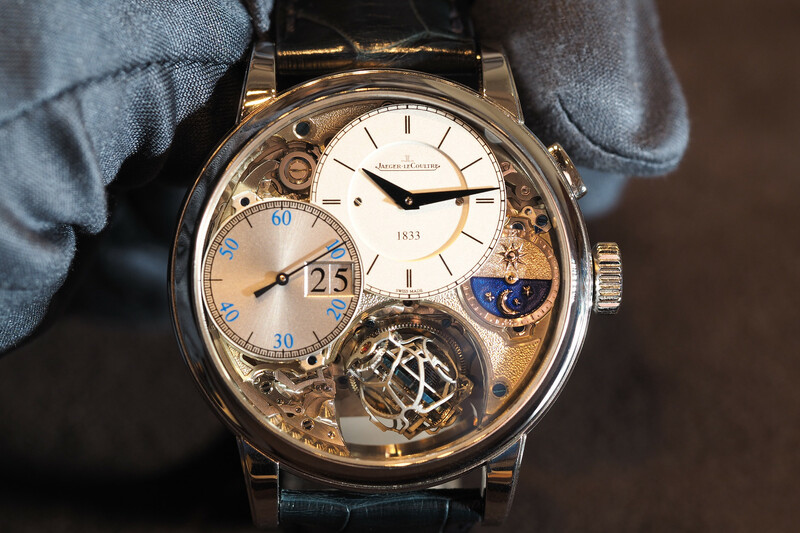 And with good reason, as the result of the new initiative is starting to show in the form of a new line of watches called the 1919 Collection, which debuted at Baselworld. The new collection consists of 9 references in total, including (4) 1919 Chronometers, (4) 1919 Datetimers, and (1) 1919 Datetimer Eternity. All models come in 42 mm diameter titanium cases, with either a standard matte titanium finish, black titanium carbide finish, or a bronze colored titanium finish for the Eternity model. Datetimer models are 11.92 mm in thickness, and Chronotimers are slightly thicker at 14.90 mm. Powering these watches, respectively, are reliable Swiss made Sellita SW200 and SW500 automatic movements. Notably, the Datetimer collection has solid screw down casebacks, and the Chronotimer collection comes with smoked sapphire casebacks. 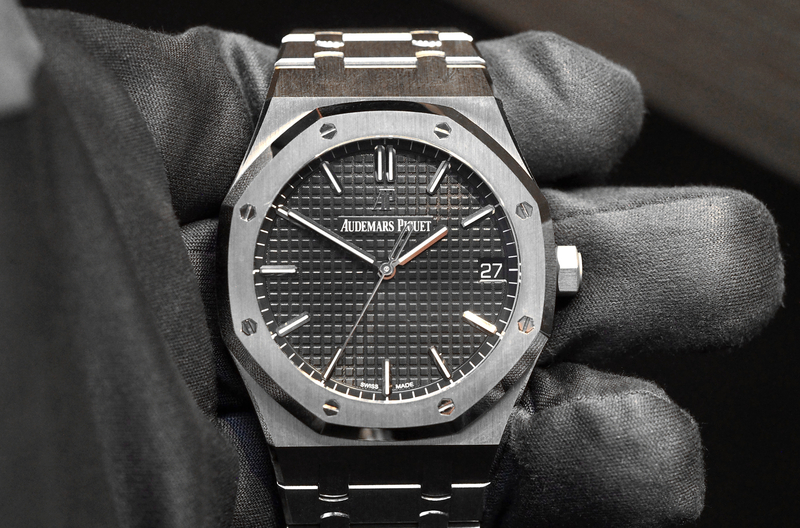 Apart from the Eternity model, which comes with a brown alligator strap, all models come with either a black rubber strap or a titanium bracelet. Personally, I think Porsche Design has a done an excellent job with the new 1919 Collection. The titanium cases are sporty and light, with an excellent fit and finish. The lugs have a distinctive look that differentiates them from the other timepieces within the crowded watch segement. And the finely knurled crowns look and feel great. On the wrist, the 42 mm Datetimers and Chronotimers wear very nicely, thanks to well thought out proportions. I love the sandwich dial design on the Datetimers, and the titanium bracelets, available on both models, are excellent. 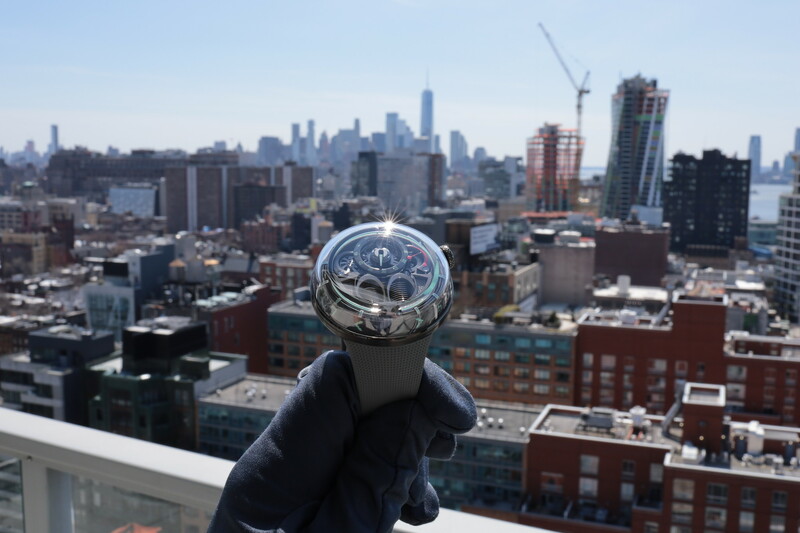 The prices are a bit high considering the movements are bought from Sellita, but they are not outrageous, and you can be sure of the quality design and engineering of the case, dial, and movement. Retail prices are $3400 to $4550 for the Datetimer models and $4550 to $5250 for the Chronotimers. The first models of the new “1919 Collection” will be available in Porsche Design stores around the world as well as in select watch retailers in May.